Today EOS announces its acquisition of Vulcan Labs, advancing further in Texan operations. EOS has been seeing significant growth in the fast-moving North American market, which the company has had in sights as a strategic focus. Texas in particular is home to significant activity. In 2016, the company opened a technical center in Pflugerville. This center, along with its Temple, Texas Advanced Laser Materials (ALM) materials research and production facility, will see grow with the new acquisition as the experienced Vulcan Labs team come onboard. Vulcan Labs was a spinoff of Stratasys, tracing back to the Stratasys’ 2014 acquisition of Harvest Technologies. and launched as its own entity last spring. While Stratasys’ other similarly-timed spinoff, Evolve Additive Solutions, is thriving on its own with a unique additive manufacturing process, Belton, Texas-based Vulcan Labs grew with great know-how in powder bed fusion 3D printing technology. So experienced indeed is the team that Vulcan Labs’ former CEO is now the COO at EOS North America. “The time is perfect to join EOS and Vulcan Labs. Industrial 3D printing is still relatively new, but it has moved from the theoretical to the practical. As organizations wrestle to integrate AM into their production chain, industry-leading experts like EOS are what will make the difference between struggle or success. That success requires a stable of experts and a robust ecosystem of partners. Vulcan Labs augments existing EOS know-how and sets us apart bringing unique, high-value solutions to our customer,” said CEO-turned-COO David Leigh. EOS’ plans for the acquisition include leveraging Vulcan Labs’ capabilities to drive growth in custom solutions, R&D, and commercialization of 3D printing platforms. This fits right in with EOS’ recent investments into operations in Texas. Just a few months ago, the company invested $2 million to double the size of its ALM facility in Temple, while the Pflugerville site expanded by 45%. The growing operations in Texas are specifically looking toward the new Integra P 400 3D printer, which launched at the end of 2018. The engineers joining the team through this acquisition are set to help lead development and commercialization of this made-in-Texas system. “Additive manufacturing is advanced manufacturing and it is not as easy as simply pushing a print button. With that sophistication, our job becomes helping ensure our customers are productive and successful, and that sometimes requires non-standard solutions, customized to very specific applications. 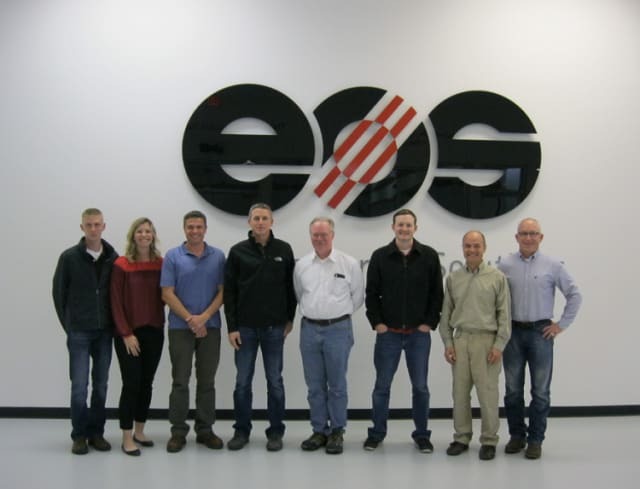 With this acquisition of top AM industry talent, we have now formed an entirely dedicated engineering services group solely focused on these types of requirements,” said Glynn Fletcher, President of EOS North America.